3:35 p.m., Oct. 30, 2008--Dr. Martin A. Pomerantz, president-emeritus at the University of Delaware's Bartol Research Institute, died Oct. 25 at his home in California. Dr. Pomerantz received an honorary doctor of science degree from UD in May 2001 at the College of Arts and Sciences Honors Day ceremonies. The renowned South Pole explorer and astrophysicist, who joined the Bartol Research Institute in 1938, served as its director then president for almost 30 years, from 1959 until 1987. Under his direction, Bartol moved from Swarthmore College to the H. Rodney Sharp Laboratory on the University of Delaware campus. Bartol merged as a research center within UD's Department of Physics and Astronomy in 2005. In the 1940s and 1950s, Dr. Pomerantz was one of the first to carry out balloon-borne cosmic ray research, but is best known for his pioneering use of the South Pole as a laboratory for studies in astronomy and astrophysics. Because of its location and climate Antarctica provides unique opportunities for the study of extraterrestrial physics, and Pomerantz initiated cosmic ray and solar oscillation studies there and began his experiments there in 1964. 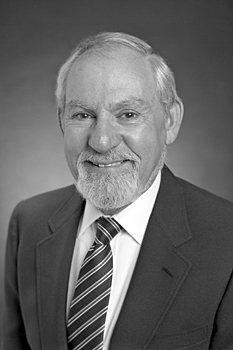 In 1999, his successor as president at Bartol, Norman Ness, wrote that Dr. Pomerantz had “developed and operated instruments in Antarctica for observing...sun-quake signals in the newly emerging field of helioseismology, a discipline in which he was one of the true pioneers,” adding that Pomerantz "also showed tremendous courage, working in Antarctica when it was still a very hazardous proposition." As a scientist and explorer, Dr. Pomerantz carried the National Geographic flag to the South Pole and led numerous society expeditions in Antarctica. Dr. Pomerantz has been honored internationally, and in the U.S., he received the National Science Foundation Distinguished Public Service Award and the National Aeronautics and Space Administration Medal for Distinguished Scientific Achievement. He also was honored with an observatory in his name in Antarctica in 1995, which was dedicated by Neal Lane, director of the National Science Foundation. Born in Brooklyn in 1916, Dr. Pomerantz graduated from Syracuse University and received his master's degree from the University of Pennsylvania and his doctorate from Temple University. In addition to his honorary degree from UD, he received honorary degrees from Swarthmore College, the University of Uppsala in Sweden and Syracuse University. Survivors include his wife, Mollie, his son, Martin Pomerantz Jr., and daughter Jane Straw and a grandson.